As you readers know, I am a long time fan of the Taigan Marketplace, an online shopping site featuring a hand selected collection of a wide range of lifestyle products. I especially like that they focus on small companies, emerging designers and hand crafted artisanal products. Last week, Taigan came to NYC and I had the opportunity to see some of their gift ideas in person. Many are already available so whether you have an upcoming occasion or are starting lists for the holiday season, here are a few suggestions. 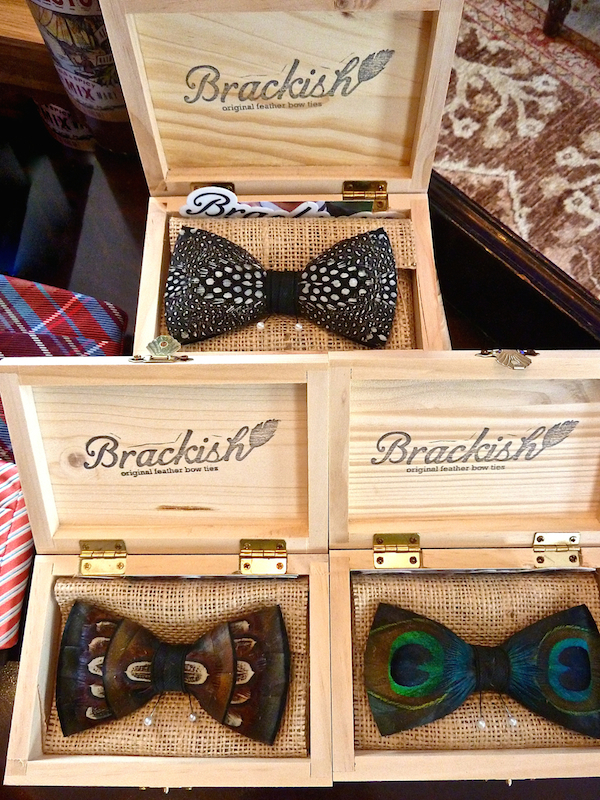 For the stylish gentleman in your life, Brackish feather bow ties are a dapper addition. These hand made one of a kind accessories are crafted locally in South Carolina. Each feather is individually selected so no two ties are exactly the same. Sustainable works of art, the bow ties are wrapped in burlap and handsomely packaged. 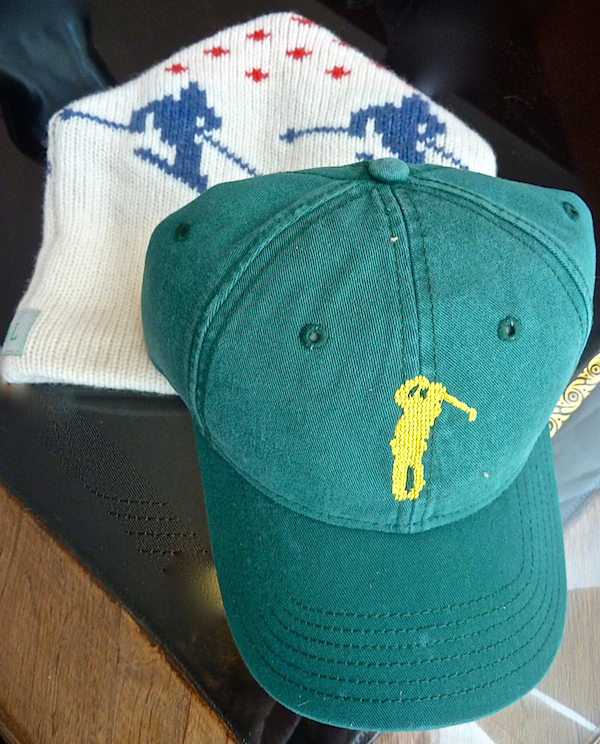 There are many logo hats for guys but the brother and sister team at Harding Lane Hats go a step further with charming needlepointed designs. Carefully sourced, the caps are produced by a environmentally and socially conscious manufacturer. This fall, they will also be trying their hand at traditionally knitted ski caps. In addition, Harding Lane donates a percentage of their annual profits to The Trustees of Reservations, a Massachusetts based organization committed to protecting both land and cultural sites in the state. It’s a good thing my husband doesn’t read the blog because he will probably find something from HL under the tree – but shhh don’t tell him. 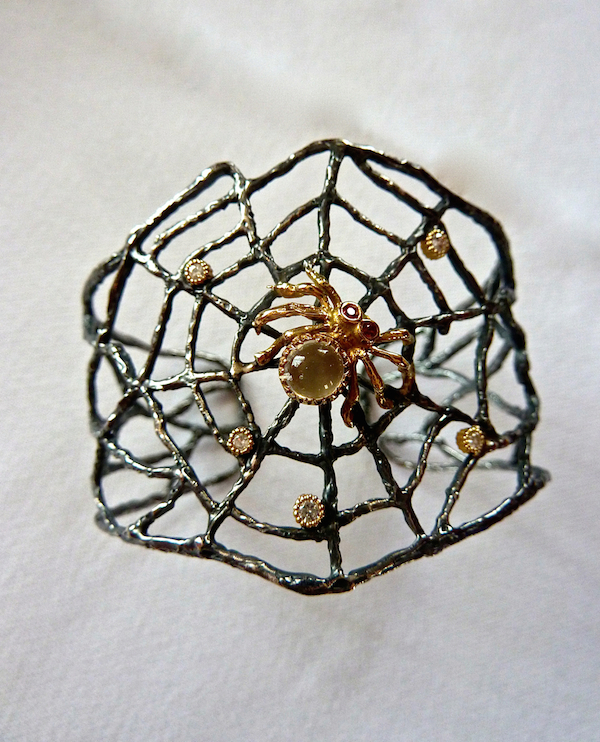 Even arachnophobes can appreciate the exquisite workmanship of this Ann Ruth Henriques bracelet. The designer, a Jamaican painter, sculptor and author, produces jewelry that is more than just an accessory. Using the lost-wax method for casting the metal, her artistic designs and creative use of gem stones transform her pieces into meaningful works of wearable art. Another sibling owned company, Roarke NYC is run by two sisters. 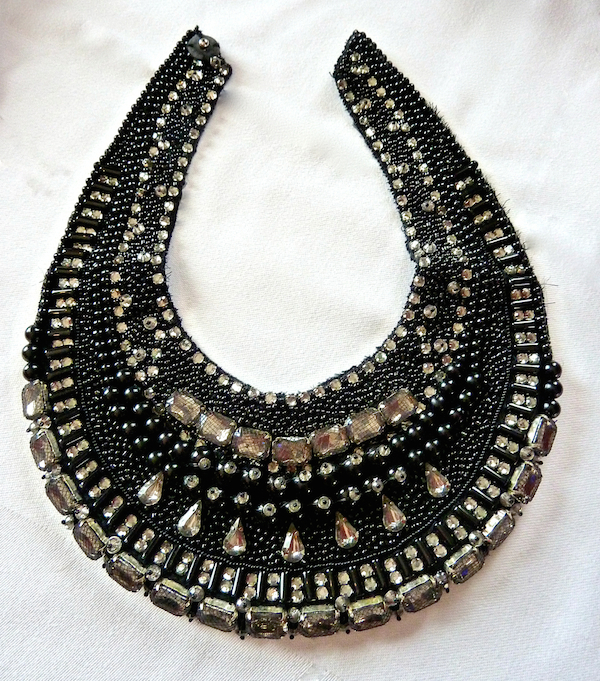 Founded with a single signature scarf style necklace, they have expanded into other styles and textile accessories, like the beautiful beaded necklace above. Walking the line between ethnic design and modern style, their creations occupy a unique niche in the fashion marketplace. Each piece is designed in New York and hand made in India by talented artisans. Founded by well known event designer Tara Guérard, Lettered Olive is a wonderful source for high end letterpress stationery, invitations and paper accoutrements. From full wedding invitation suites to the charming Surcie tags above, you can be sure that any recipient will appreciate your thoughtful gesture. Home products and food are large categories at Taigan. 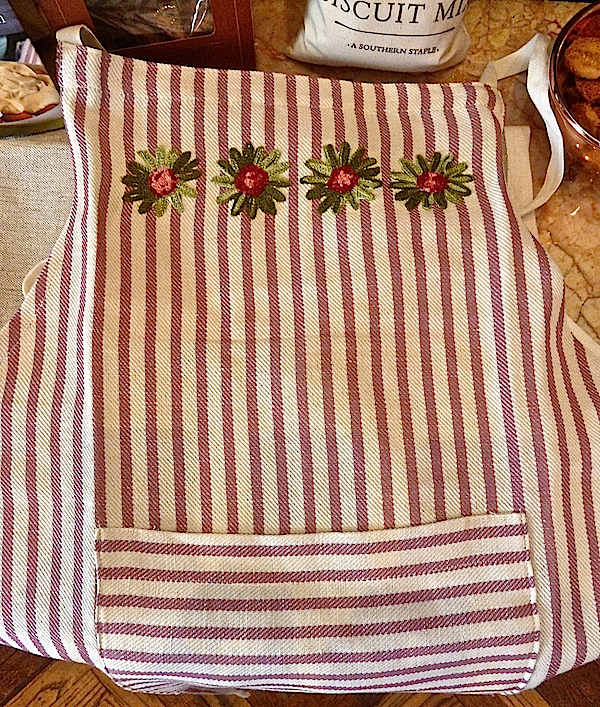 Nashville interior designer Jonathan Savage has a Taigan shop, Savage Designs that sells everything from stylish furniture to chic French scents to the most charming hand embroidered kitchen towels and aprons, above. 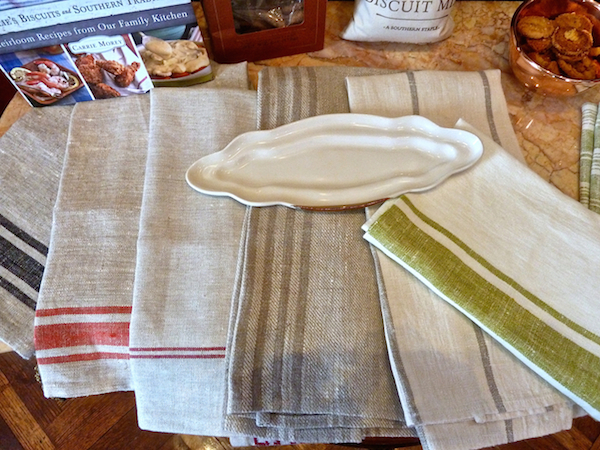 Below, his towels are beneath the irresistible confections from Schermer Pecans. 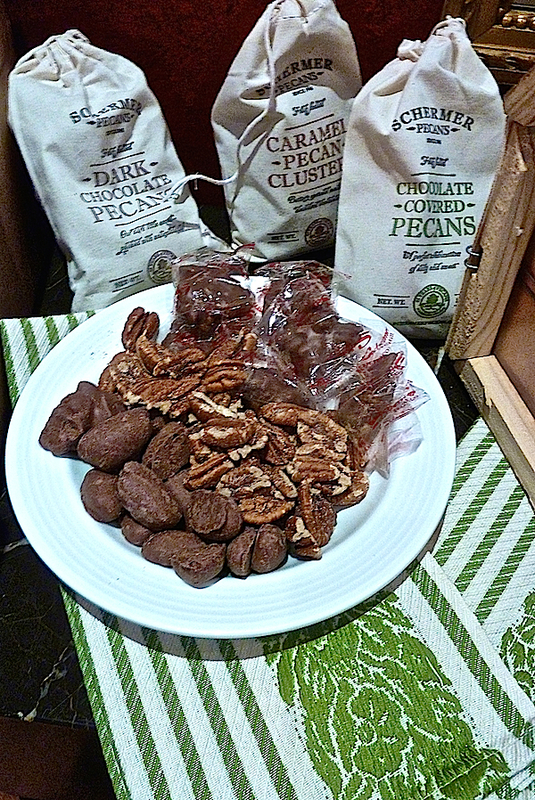 I went home with a bag of salted nuts and some samples of the delicious caramel pecan clusters which never even made it to the house. Just a warning. Coppermill Kitchen is not far from me in Connecticut but leave it to Taigan to make the introduction. With a collection of fine vintage copperwear, that is re-tinned and restored, Coppermill also offers lovely small copper bowls that are reproduced after a set of vintage ones found in Italy. The collection also includes beautiful handspun linen tea towels and some pottery pieces with distinctive decorative copper additions. I almost hesitate to share this last offering since it is perfect for so many on my list and a personal favorite. 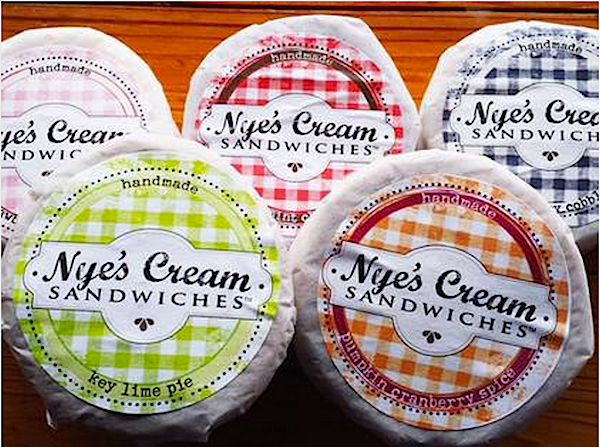 Nye’s Cream Sandwiches are devishly addictive. From the vintage chic packaging to the flavorful ice cream paired with chewy home made cookies, they are dangerous to have in your freezer. 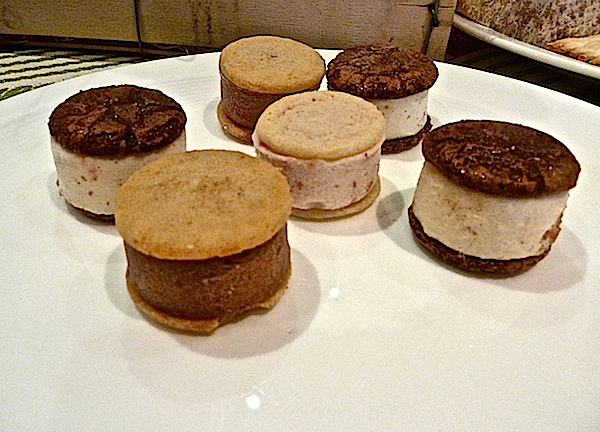 And this fall they are debuting their new mini ice cream sandwiches. The perfect size for a sweet treat, I have already declared them a guilt free pleasure. And if you share, as I did with Taigan CEO Elizabeth Nichols, you can afford to have more than one flavor!! We agreed that the mint is simply divine. 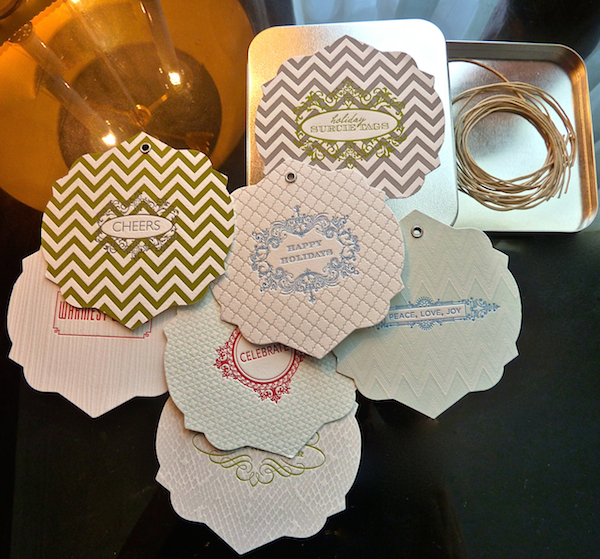 This is a truly tiny sampling of the many eminently giftable ideas from the Taigan Marketplace. Much more awaits you online. And come this fall, many new additiona will be available to help solve your shopping dilemmas. This entry posted in fashion, food and drink, gifts, holiday, Stationery. Entry Tags: food gifts, Holiday gifts, men's gifts, Taigan, Taigan Marketplace Bookmark the permalink. I will take one of everything, please! What a shop! I will have to share this post with my daughter. Please do, Teresa! We’re so glad you like everything!! It’s clients like you who we LOVE! So many artful goods and delicacies, I love the whole premise behind Taigan Marketplace!! Thank you so much, Karena! We’re passionate about finding unique products and helping small businesses – we’re thrilled you appreciate special these special things and people just like we do! Am soooo glad I read this and sos grateful to you! Am long a subscriber to Taigan but so often find myself overwhelmed by shopping sites. Thanks for the reminder that this one really is special, and that even those of us who “don’t need anything” can find great gifts for others! Am totally getting my husband a Brackish feather bowtie and ordering Nye’s ice cream sammys and Schermer pecans! Frances, we’re so glad you read this as well. Those Brackish bow ties are the most beautiful works of art while functional too. Your husband, we’re sure, would love one! And Nye’s ice cream sandwiches and Schermer pecans are simply the best. You have great taste! 81 queries in 0.596 seconds.